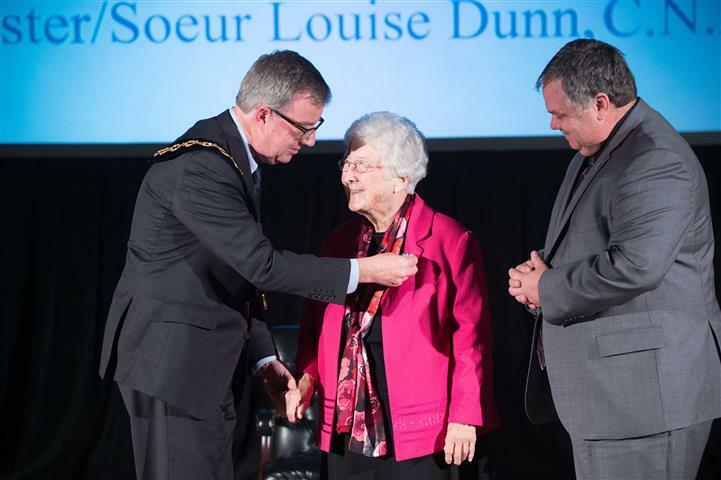 It has been over three months since the passing of Sister Louise Dunn, and not a day goes by that we don’t think of her fondly or feel her presence in the offices where the vital community work she started 36 years ago continues. There is still pain and loss and some disbelief, at times, but there is also gratitude to have known her and been part of her mission to assist families affected by addiction. 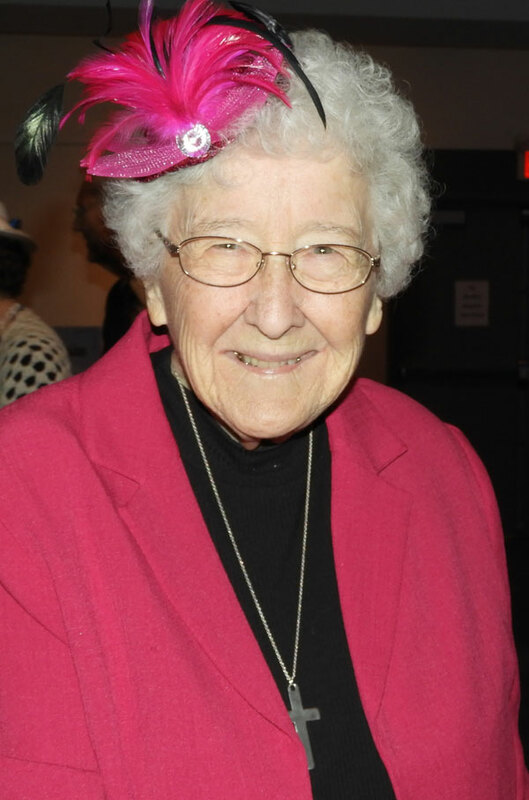 And so, on behalf of the staff, Board of Directors and volunteers of Serenity Renewal for Families, we cordially invite you to celebrate Sister Louise’s incredible life and widespread impact by attending, How’s Your Heart?, a commemorative luncheon, Sunday afternoon, May 26. We will honour and remember a life dedicated to community service and invite you to share your favourite Sister story at our ‘open’ microphone. Organized by our invaluable Serenity Renewal volunteers, How’s Your Heart?, will prove to be a memorable and moving tribute to a pioneer in the addictions field, a friend and devoted religious sister. 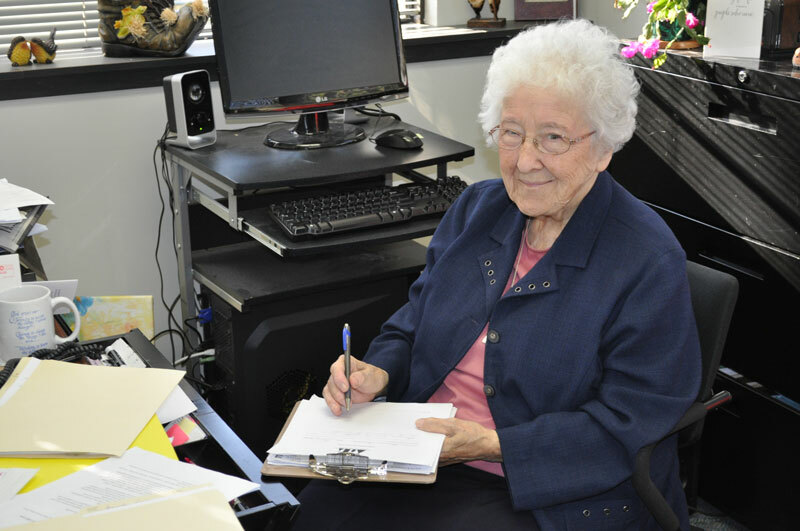 If you are unable to attend our special celebration, would you consider making a donation toward Sister Louise’s legacy of serving the underserved and improving the lives of vulnerable families? Every dollar donated will be matched by a generous donor up to $10,000. That means, your donation will be doubled and will impact twice as many individuals who are desperate for hope and assistance and have nowhere to turn. As a small charity that provides subsidized services to many clients and relies on private donations to operate, our Spring Campaign is critical to sustaining Sister Louise’s mission and surviving the dog days of summer when donations fall off. 91% of donations in the Ottawa area go to large non-profits, while small charities benefit only from those who know them and understand the importance of their service. 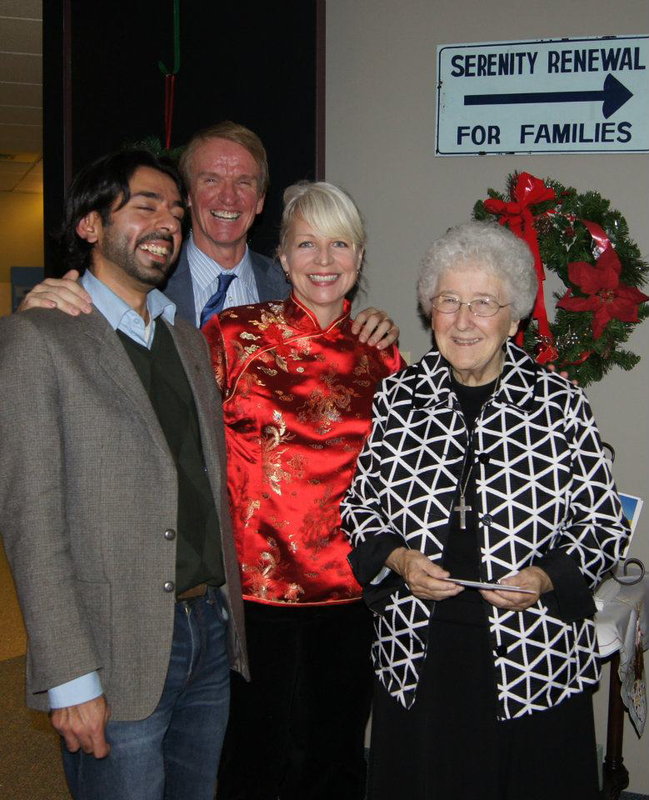 It was Sister Louise’s wish that we continue her work, offering love, assistance and community to a growing demographic that is still overlooked and under-funded. Her passing only strengthens our commitment to offer inclusive services to all in our community, regardless of socio-economic standing. Thank you for making change possible for so many in our community, and we hope to see you for a momentous celebration, May 26. Tickets are limited, so please act today. PS: Your tax-deductible contribution will be matched by an anonymous donor doubling the impact in our community. 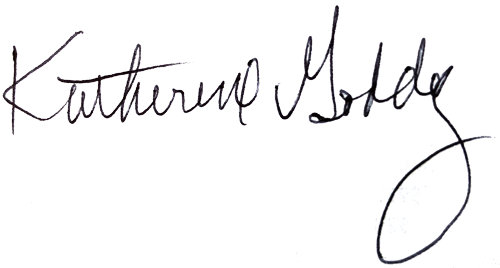 I first met Sister Louise over thirty-three years ago. I was a very young woman who had a secret: my mother was an alcoholic/addict, and I was also struggling with the condition. Somehow, I really thought that I could be different from my family and that I could will away this curse. I was looking for a magic pill, solution, treatment, anything to take away the pain, stress and grief of living with an active addict. Thirty-three years ago, there were not a lot of options for help or understanding for people and families with addictions. My first encounter with Sister Louise Dunn was as my aftercare counsellor. She was just starting Serenity Renewal for Families. What struck me about her was that she “saw me”, she really saw me! She helped me realize that the only person I could change was me. At her funeral and wake, I heard this phrase over and over. I thought I was special, but that was a gift she gave to everyone she encountered. At the wake and funeral, many repeated how their lives took a positive turn because of Serenity Renewal for Families. Those who have had the privilege of working with her or attending workshops or counselling know the value her creation, Serenity Renewal for Families, has had on our community. Living in a family where one or more members are addicted is chaotic. You don’t flourish in these families, you survive in them. You live in uncertainty, you lose your ability to trust and you develop relationships based on a victim or predator mentality. You isolate yourself. You feel hopeless. Today, we are not without hope. Sister Louise Dunn, in her wisdom, knew that addiction affected all family members, in so many ways, and that recovery needed to address more than just the substance use itself. She taught that even when the problem drinking or using stopped, the real work began to heal the person and family. Over my three decade association with Serenity Renewal and Sister Louise, I have attended many beneficial workshops on such topics as self-esteem, anger and resentment, healthy boundaries and couples communication. I have learned that recovery is a lifelong journey. Fortunately, the journey need not be undertaken alone, as long as Serenity Renewal for Families is in our community. There can be no guarantees, but there are many productive and healthy people active in Ottawa today who owe much of their recovery to the help they received at Serenity Renewal for Families, myself included. Serenity Renewal for Families will continue Sister Louise’s incredible legacy, providing hope and the opportunity for positive change to families in our region devastated by addiction and often with nowhere to turn. In closing, allow me to thank the community at large for the generous support it has provided to our charity in the past and to ask that you keep Sister Louise in your thoughts and prayers.